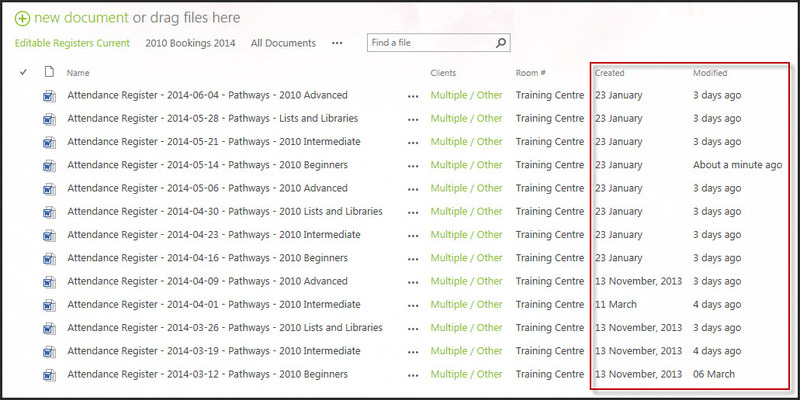 Do the new date formats drive you nuts in SharePoint 2013? Previous You Cannot Fake SharePoint! Hi Veronique. Thanks for your reply. I t looks like I forgot to mention I’m using SharePoint 2016 on prem. I don’t have that option to change the format, unfortunately. Hi Joyce, you sure can. Go to Site Actions, Site Settings, Regional Settings and change it there. It will then filter down. Would you know how this change can be made at the site collection level or site level? It’s impossible to go to every single library/list to make this change. Hi, now that we are talking about Date Formats.. Yes I agree, the date formats are far too rigid. Standard is helpful if you want to get right down to the creation or modification time. It’s just not as pretty as “Friendly”.